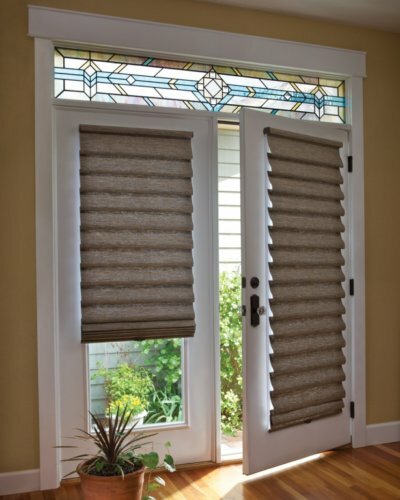 Stop dealing with those broken blinds and check out some of our innovative window treatment solutions for doors! Are you looking for a functional window treatment idea for sliding glass door, or maybe looking to add an elegant touch to those double french doors? 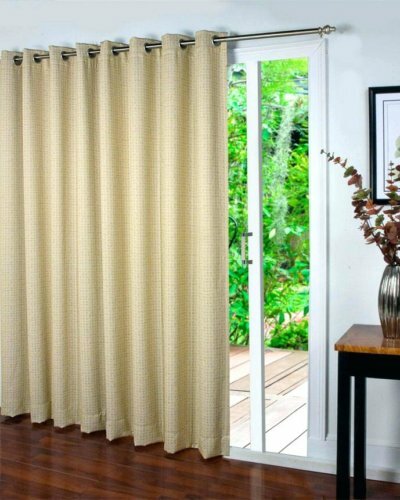 No matter what type of door you need a window treatment idea for, we have got you (and your doors) covered in this guide to window treatments ideas for doors. Wondering what to put on those French doors? We have great news for you! There are a huge selection of blinds, shades and shutters that work well on French doors. The bad news is there is a ton of complexity selecting the right window covering for French doors. That is why you call us. These are some of the most exciting windows to cover. 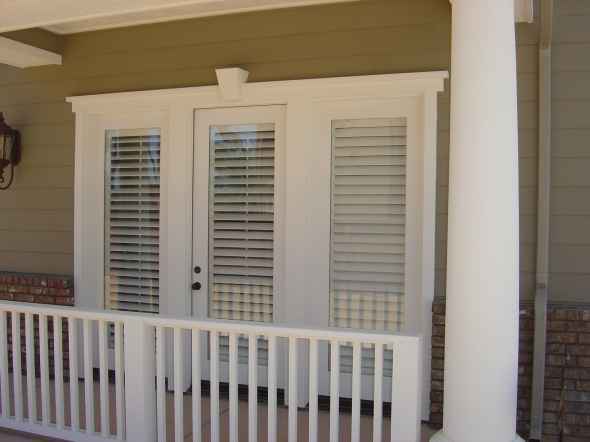 There are many things to think about though when selecting shades or shutters for the doors. Let’s start with the door handles. 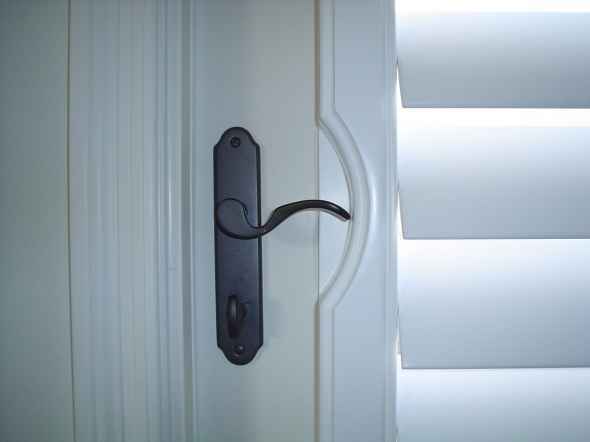 Do you have round, oblong or lever door handles? Round or oblong handles are the the most friendly with lever or sweeping door handles being a bit more challenging. Roman shades, roller shades and cellular shades work great for lever door handles, but you still may have to “help” the shade behind the handle depending on the style you choose. 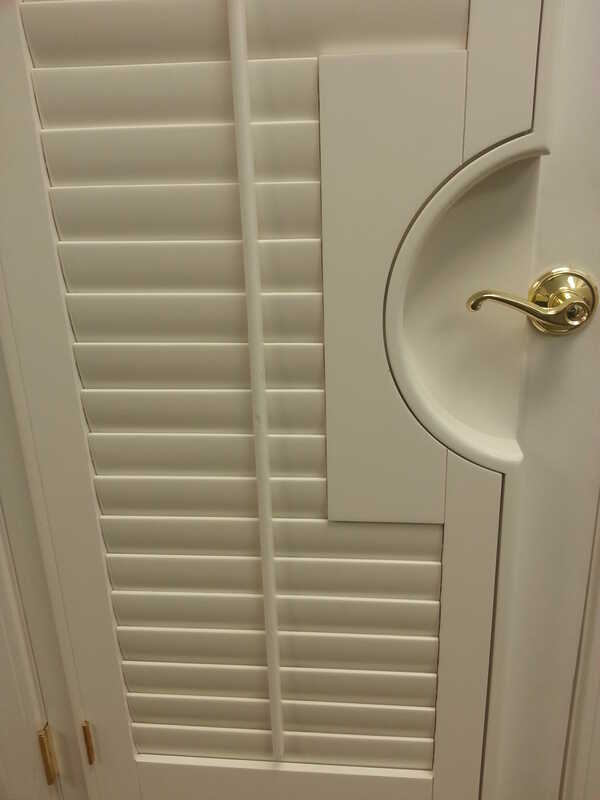 Wood or composite shutters are a great choice, but you will need a round or square cutout in order to clear your sweeping door handles. Otherwise known as a “French Door Cutout” Wood or Faux wood blinds can be a more budget friendly option, but they are harder to operate depending on your handles and they tend to clank against the door when you open them quickly. Hold-downs can be installed to lessen this challenge. 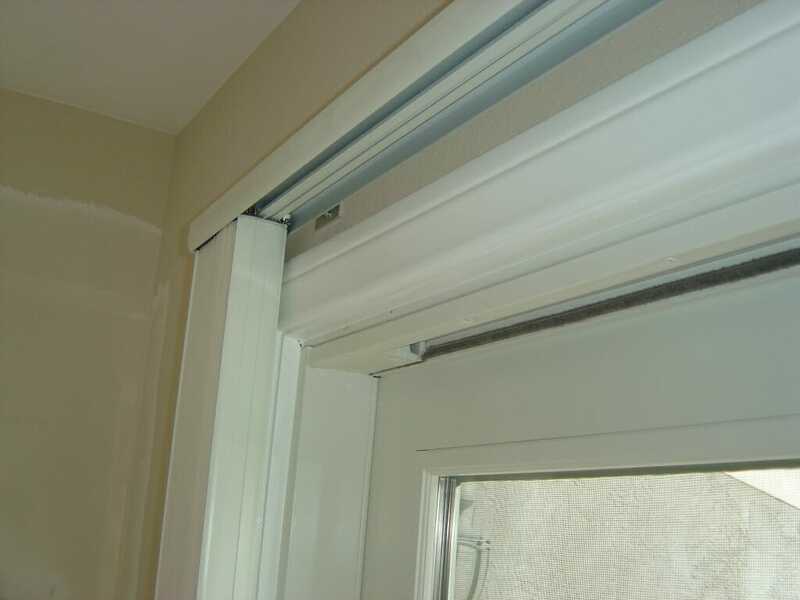 We recommend against any standard cord control on French doors if you plan on raising your blinds. Why you ask? When you raise a taller blind or shade that cord has to go somewhere and that somewhere is on the floor which now becomes a hazard for your kids and pets. We can install a child safe cord cleat to your door, just know each time you raise your blind you need to wrap your cord on the cord cleat for safety. Do your doors open inward toward your home our outward to the great outdoors? Do they open and fold back to the wall? All things to consider when choosing the right window covering. A nice battery motorized roller or sheer shade with a fabric covered headrail is a perfect choice 95% of the time but not so perfect if when you open it the headrail hits the wall. What if you don’t want anything on the door? We recommend UV window film on the glass to protect your fine flooring or interior finishes or impress the neighbors with some nice drapery side panels and a wrought iron drapery rod. A word of warning with this look, all you friends will want to copy it in their homes. 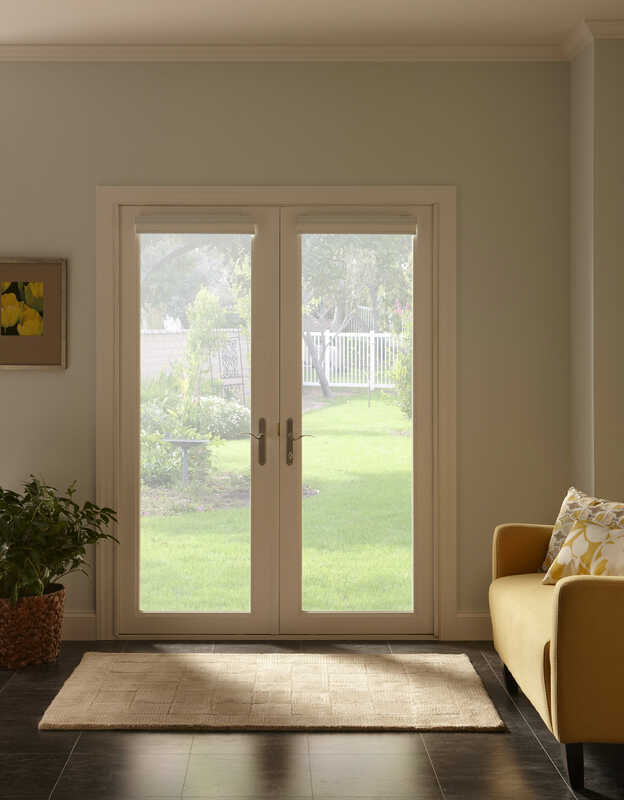 Sliding glass doors are a staple in many homes and more recently we are seeing more and more nano, bifold or bipass doors that open up your home to good ol’ mother nature. 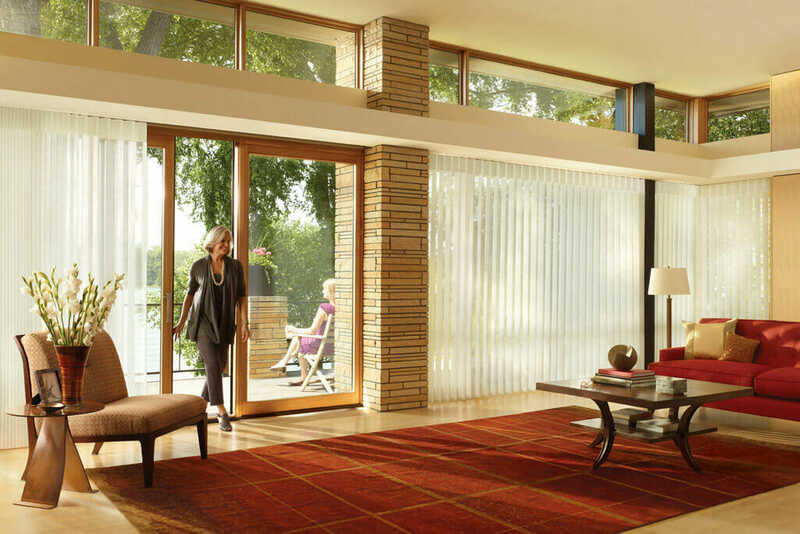 Since these doors are much larger than your average window let’s talk about options and what you should think about when selecting window coverings for sliding glass doors. Since there is so much glass the first thing we look at is what direction the is door facing. Obviously for eastern exposure you will get lots of morning light so a nice clean screen shade with a wood valance could be a great option unless you want privacy at night. Simple rule on any window covering is whatever you can see out during the day it has the opposite effect at night when the lights are on. This mainly comes into play with screen shades, sheer shades, woven woods and sheer draperies. If you have southern or western exposure that door will heat up like a radiant heater and it should be taken into consideration. Great products for this would be energy-efficient cellular shades or a nice cloth or s-shaped vertical blind with a upgraded fabric or wood valance. Next thing to consider would be how you want access to that door and what privacy you need. 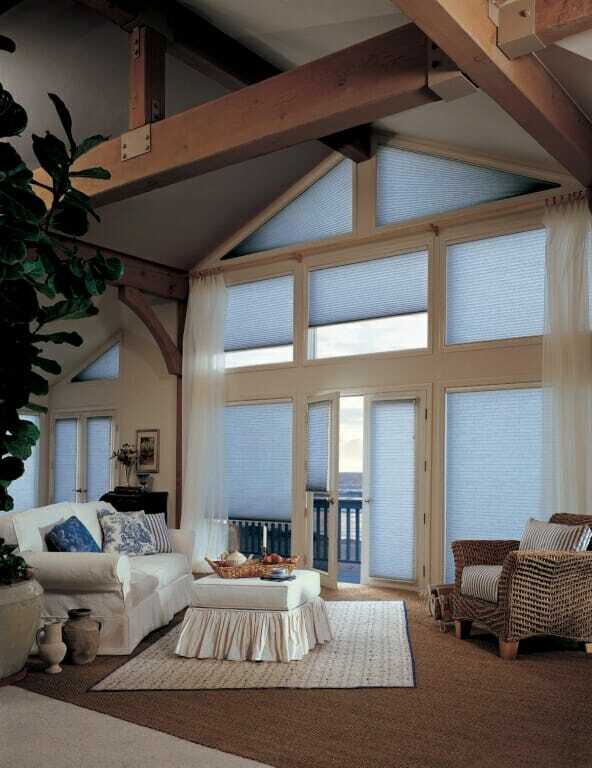 If you put a larger horizontal shade like a roller shade, wood blind or cellular shade covering both panes of glass then each time you need to go outside you have to raise the shade so motorization is convenient. It may look a lot cleaner and more refined when down, but form comes at the expense of function. If you can see yourself wanting one side down for privacy and one side up for easier access consider a 2 on 1 cellular shade or wood blind. 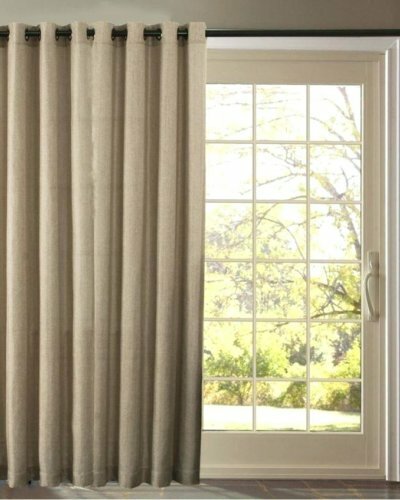 This is one shade with 2 independently controlled shades and one common headrail or valance for a cleaner look. The next consideration is the height of your door. Most sliding doors are 7 or 8 feet tall. Two or three inch wood blinds might be an economical option but they stack at the top 13% of their height so on a 8 foot slider there will be 1 foot of stacking whereas roller and cellular shades have 75% less stacking. Vertical orientation products like sliding panel tracks, traversing woven wood draperies, vertical cellular shades and vertical blinds are excellent options. For the exception of vertical blinds or vertical sheer shades all other vertical products are going to limit light control. For example you can tilt a vertical blind which allows you light control even when the blinds is completely covering the window. Whereas the other options mentioned above are like an on/off switch. They are either open or closed. 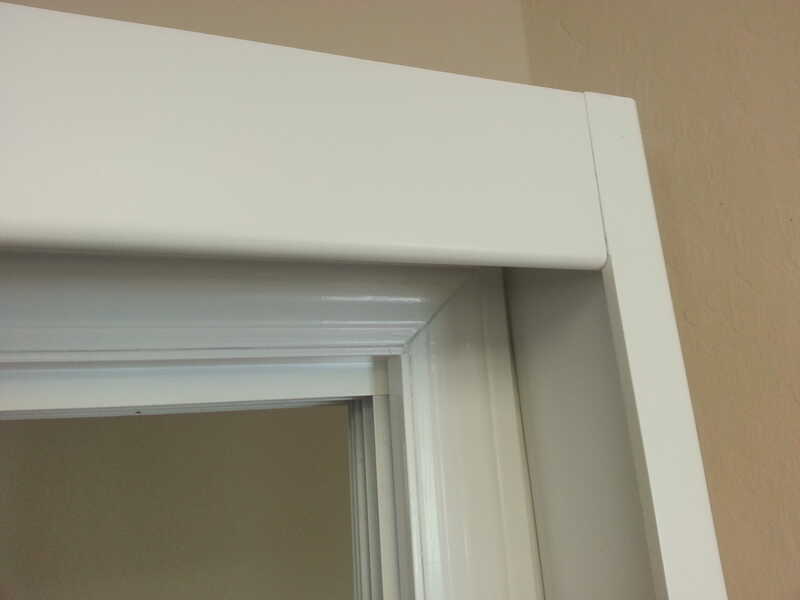 What is nice about all vertical orientation products is that you can open them half-way which gives you privacy on one side of the door while giving you the convenience of being able to operate the door and walk outside. 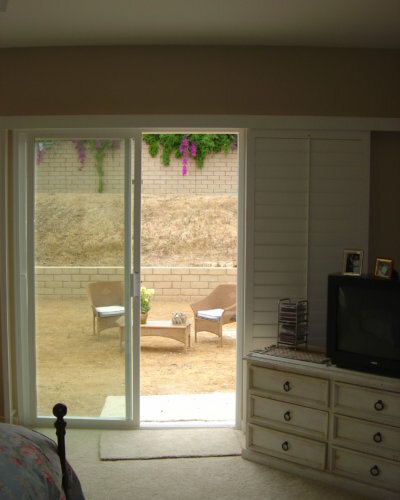 You will also want to look at how much space you have on either side of your sliding glass door. More space on one side = more options. We recommend customizing the product to completely stack off the window giving you the entire window. Vertical cellular shades have the least amount of stacking with shutters having the greatest both are still great options depending on your needs. Bipass wood or composite shutters with divider rails work great on sliding glass doors and if you have a good amount of wall space on each one side it allows you to completely stack the shutters off the window otherwise you will always have a shutter in front of the non-operational side of the sliding door. Is your mind spinning yet? One final consideration is how much traffic will that door get and where is located in relation to the dining table? We recommend against sheer products of you have cats or dogs since elegance and pets don’t mix. 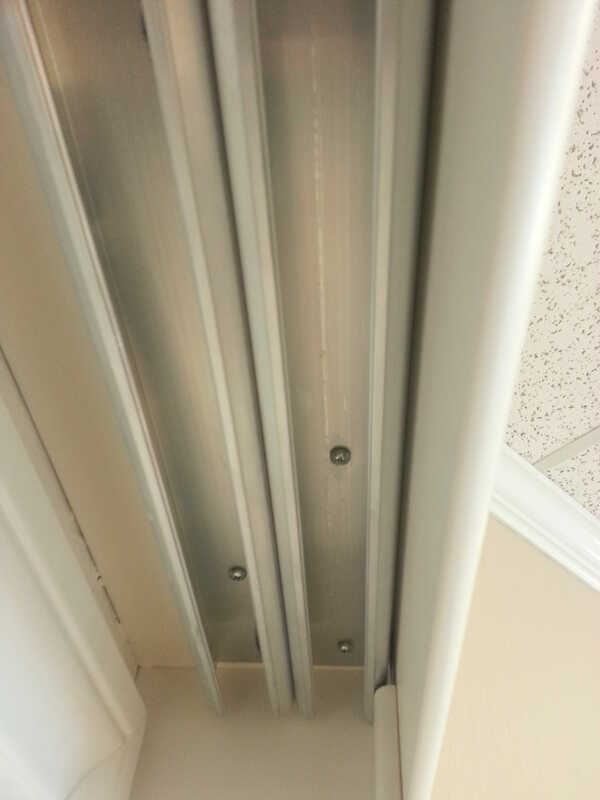 Vertical cellular shades are a great cord free options for pets and kids but not so great for dirty hands and paws. 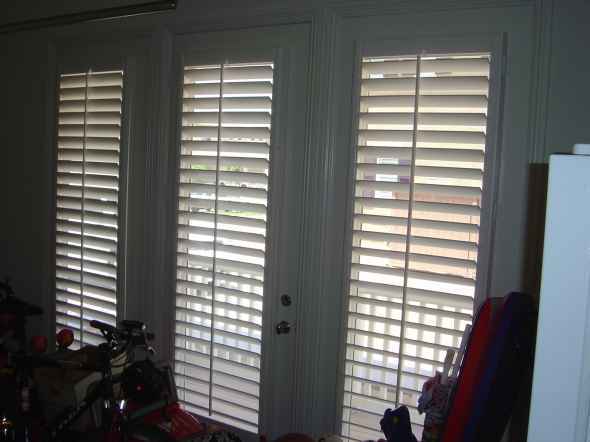 Shutters on sliding glass door. 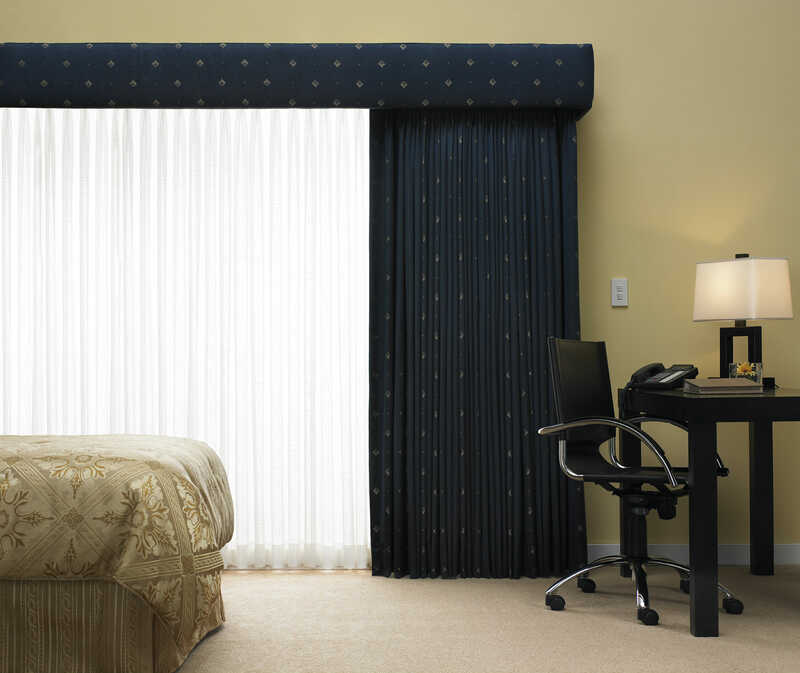 If there will be a lot of traffic consider 2 on 1 horizontal products like easy to clean roller shades or wood blinds. If you prefer vertical orientation then casual woven wood draperies and panel tracks are perfect choices. If you want something indestructible then choose a composite or vinyl shutter. Heck you can even take vinyl shutters down and spray them off outside. How cool is that! 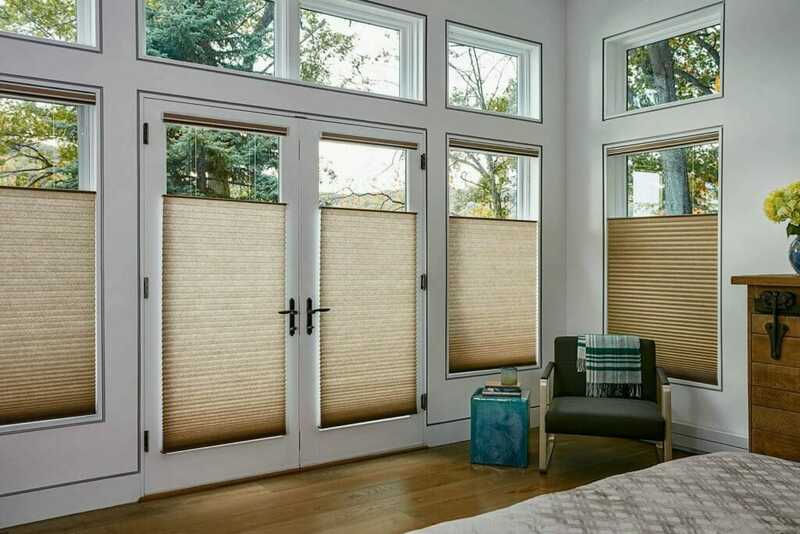 Glider Blinds™ made from either real or faux wood allow you to have the style of horizontal wood blinds without having to worry about raising the blind every time you go in or out of the door. With these Glider Blinds™, you can simply slide the panel to the side without having to raise the blinds, making getting in the door with a armload of groceries or an excited child a little easier. 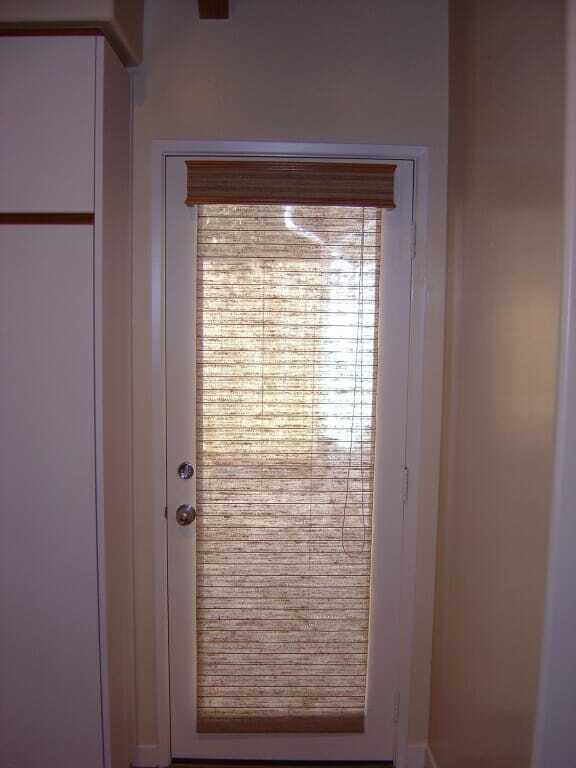 Check out the photo above for an example of wood Glider Blinds™ on a sliding glass door in the open position. This particular design was further customized with the addition of a wood valance across the top of the door and matching window blinds throughout the house. 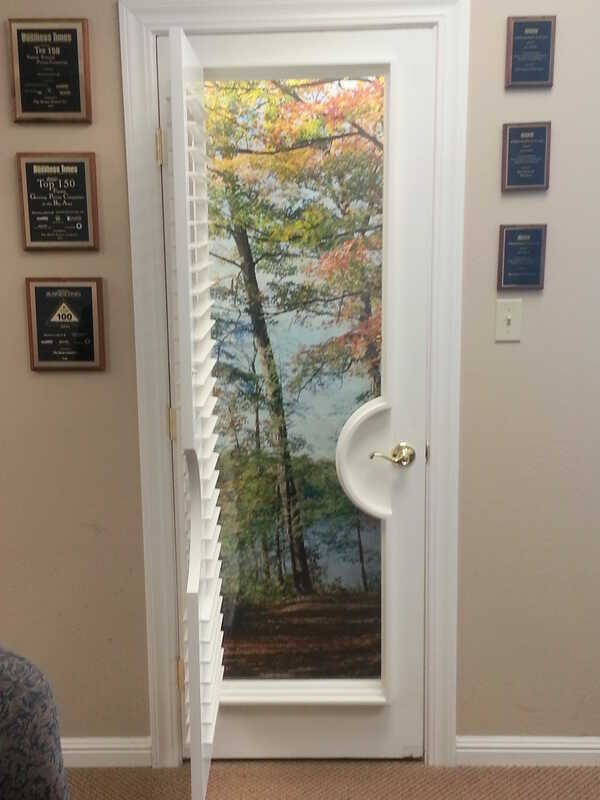 You simply just slide one panel to the side and now you can go our your door without having to raise the blinds. This product can also be motorized for the tilt function and the sliding function so you can control it all from a remote, iPhone or iPad! 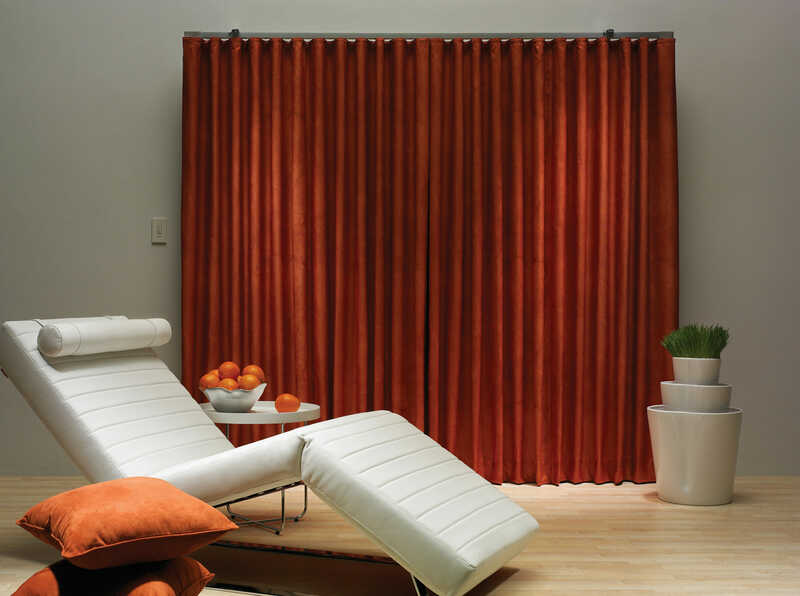 Cellular shades (aka Honeycomb shades), have been some of the most sought after window treatments for as long as I can remember – and for a good reason. They come in multiple fabric opacities from sheer to fully opaque, giving you the power to decide the amount of light or darkness that best fits your room. 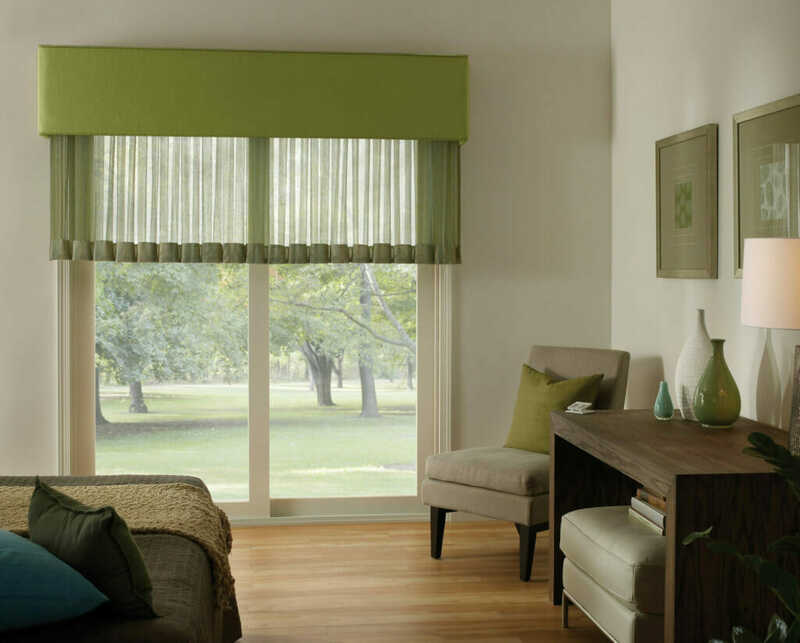 Cellular shades also come in an extensive selection of fabrics and textures with a wide range of colors; ranging from the soft, neutral hues to deep, vibrant tones. 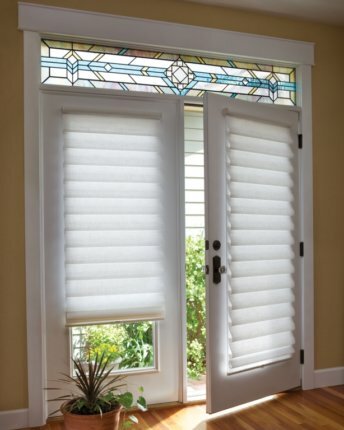 Another benefit of cellular shades is that they can also be opened from the top OR the bottom, giving you the ability to cover the window fully, half-up, half-down, or anywhere in between, making it perfect for french door or double doors like these to the right. Wood shutters and faux wood shutters are another great solution for French Doors, and come with a variety of cut-out options for dealing with those pesky door handles. See the next section below for a close up of a cut-out. No Need To Sacrifice Your Designer Door Knobs! French doors with plantation wood shutters.